It's too easy to think of Paso Robles as a place you pass on your way to somewhere else -- Big Sur, Carmel, or San Francisco. 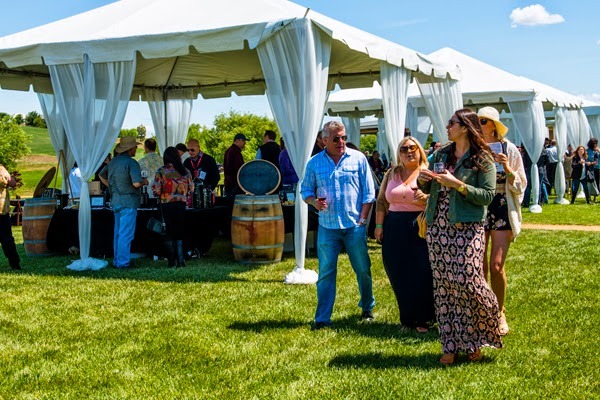 The real secret is Paso Robles is on its way to better and better wine, and if you want a sense of that you should attend the CABs of Distinction Grand Tasting on Saturday, May 2 at River Oaks Hot Springs. "Paso Robles has Napa-like climate and French-like soils," says French-born Central Coast convert Daniel Daou of Daou Vineyards and Winery, hailed as the winery of the year in 2013 by the Connoisseurs' Guide to California Wine. "It has a unique ability to achieve ripeness year after year and producing phenolic-rich [the compounds that create taste, color, and mouthfeel] wines that are yet elegant. In the last few years, Paso Robles wineries started tapping into the potential of the terroir and we are starting to see some of the results. The reality is that we have just seen the tip of the iceberg in this cabernet region and the best is yet to come." I'm having a wine tasting with at least 20 other people but I'm in a room alone. 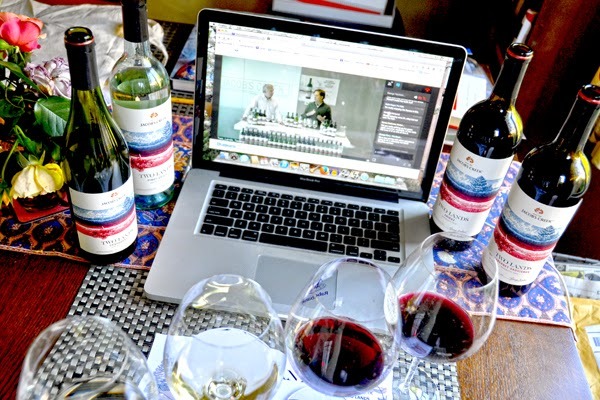 It's a digital tasting, where a select few watch on computer screens as winemakers Ehren Jordan and Bernard Hickin talk us through the new Two Lands line from Australia. Perhaps I need to start again. The aptly named Two Lands brings together Jordan, an American who currently works with his own amazing Failla Wines, based in Napa but mostly working with Sonoma grapes, and Hickin, the chief winemaker at Jacob's Creek, Australia's largest wine brand. The four-wine portfolio they've developed, at 7,000-10,000 cases each, is made for the U.S. market only and priced to move at a retail price of $13.99. And it will move, as each one of these wines is not just tasty but interesting, too. It's what one might expect when adding the talent of maverick Jordan (best known for guiding Turley Wine Cellars to zinfandel dominance) to the might, money, and access of Jacob's Creek. 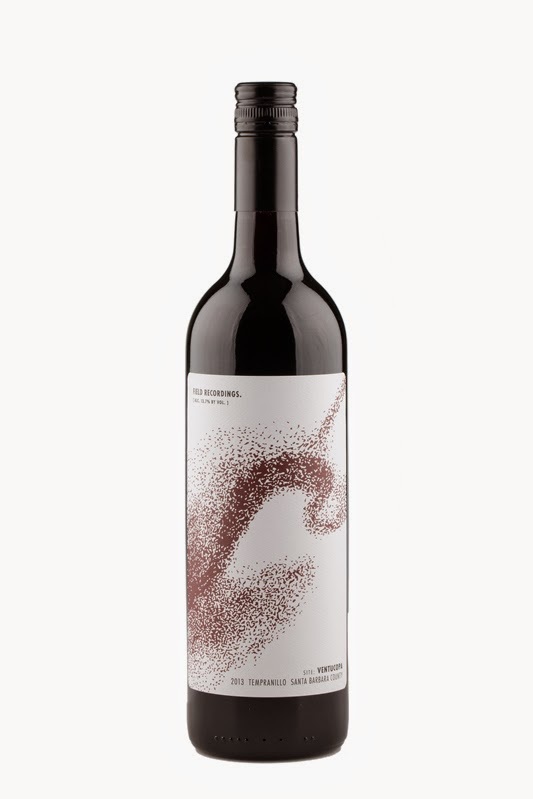 Field Recordings Ventucopa Tempranillo 2013: From the distant reaches of the Santa Barbara Highlands comes this light-on-its-feet expression of the great Spanish grape that doesn’t get grown enough on the Central Coast. 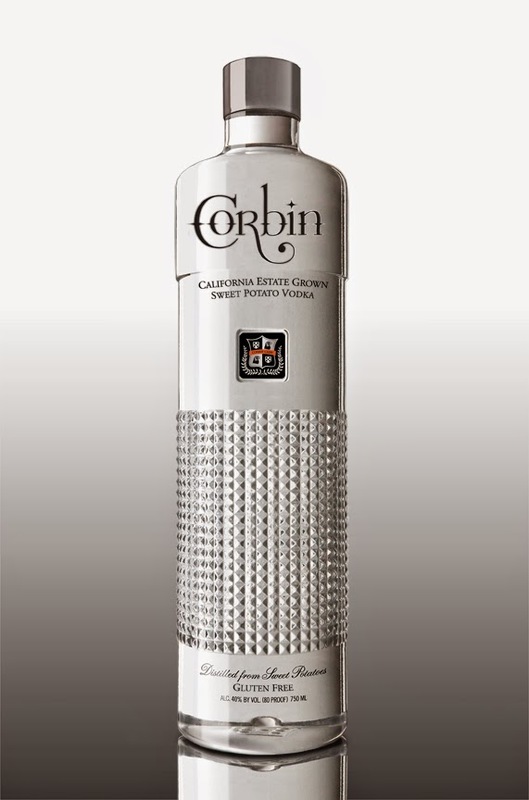 Corbin California Estate Grown Sweet Potato Vodka: It takes 10 pounds of sweet potatoes per bottle — that’s several Thanksgiving feasts per 750ml — to make Corbin. 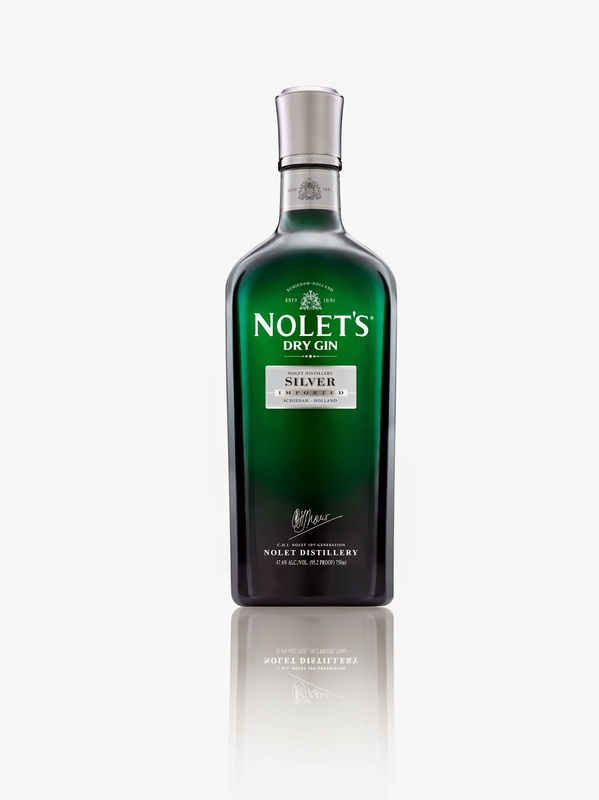 But it’s worth it if you want a vodka with some character and not just some odorless, colorless spirit. 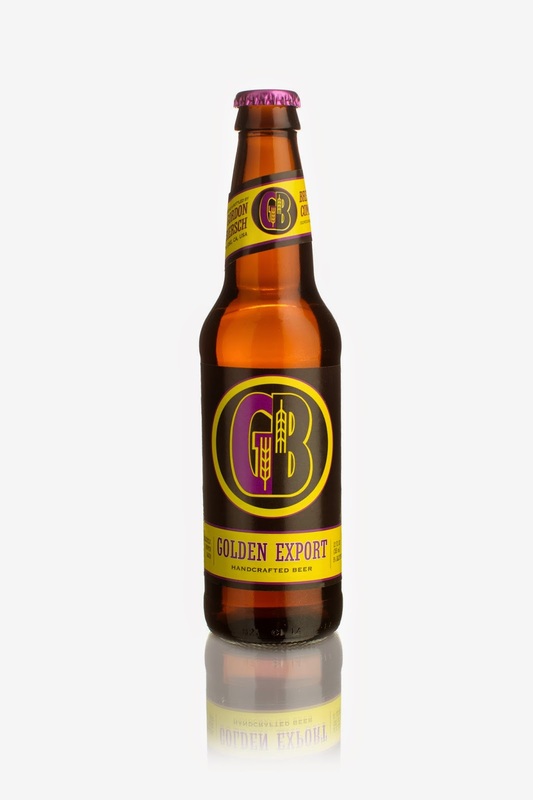 It’s very smooth, with flashes of nut flavors and that sweet potato sweet that’s a deeper sugar. Wine can get you into a whole host of wonderful things, and that was never more clear than a few weeks back when it meant a tasting/multi-course lunch at BS Taqueria as the very first guests before it opened its doors in downtown L.A. (Yes, it's good to be on the list.) That meant a celebration of the Cochon555 rolling national festival of heritage pig happening later that weekend, a chance to feast on the amazing cuisine of chef Ray Garcia (a two-time Cochon555 winner), and the launch of esteemed St. Francis Winery & Vineyards' new reserve tier wines. If you want to read the rest then do so at KCET's Food Blog. 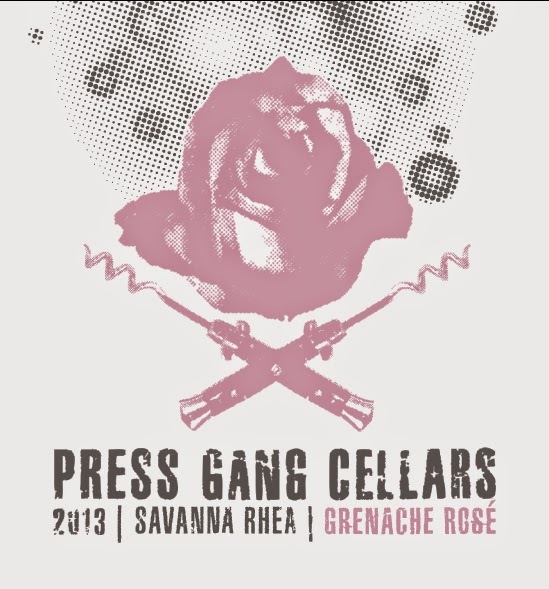 Press Gang Cellars Savanna Rhea Grenache Rosé 2013: The only bad thing about this delightful rosé is that winemaker Kyle Knapp made a mere 24 cases of it. Knapp, who in addition to owning this garagiste outfit is also the assistant winemaker at Beckmen Vineyards, has a thing for Grenache, and picks grapes specifically for this wine—it’s no saignée, and therefore fuller-flavored despite its gorgeous pale pink hue. As a garagiste winemaker, one can fly under radar and flout laws. That's one of the freedoms of being small. 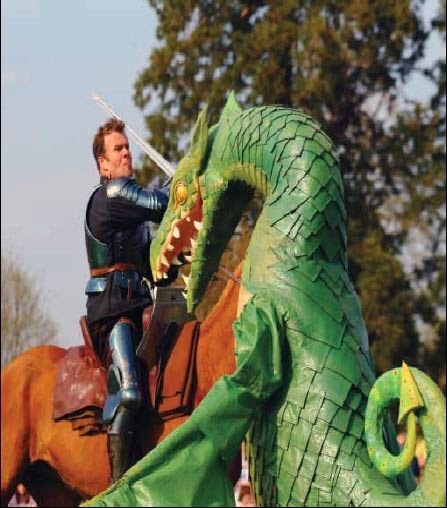 The 3rd Annual Garagiste Festival held in Solvang at the end of March made that clear over and over. 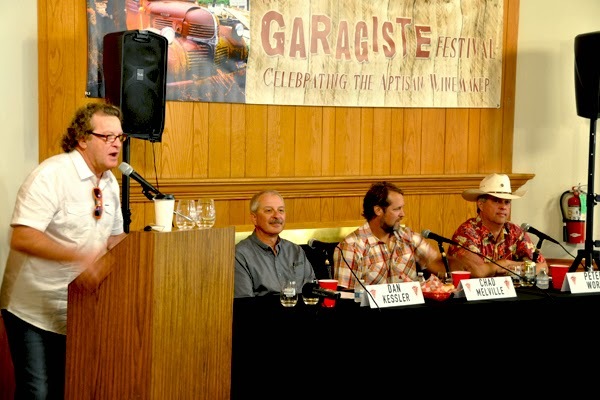 For instance, Dan Kessler of Kessler-Haak Vineyards, on the panel "The Diversity of Sta. Rita Hills AVA: It's Not All Pinot and Chardonnay," poured one of his pinots anyway. He can be forgiven as the estate 2010 was a beautiful wine, fruity, earthy, and everything one wants a Sta. Rita Hills pinot to be. Might as well claim that and help us see baselines. 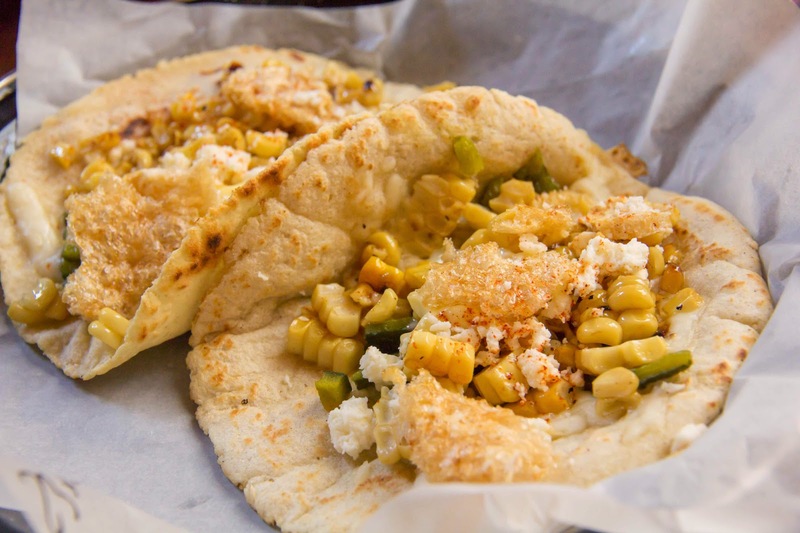 If tacos are "just" Mexican street food, then the ones you can get at Corazon Cucina are from a street paved with oro. 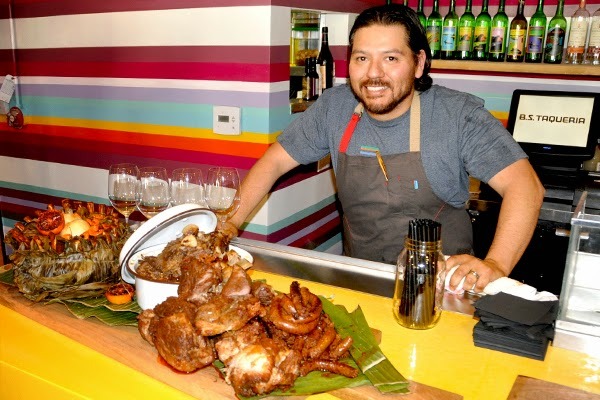 Chef Ramon Velazquez's weekly Sunday pop-up at Three Pickles has folks wisely lining up to enjoy his incredible food that is terrifically tasty, precise and pretty. 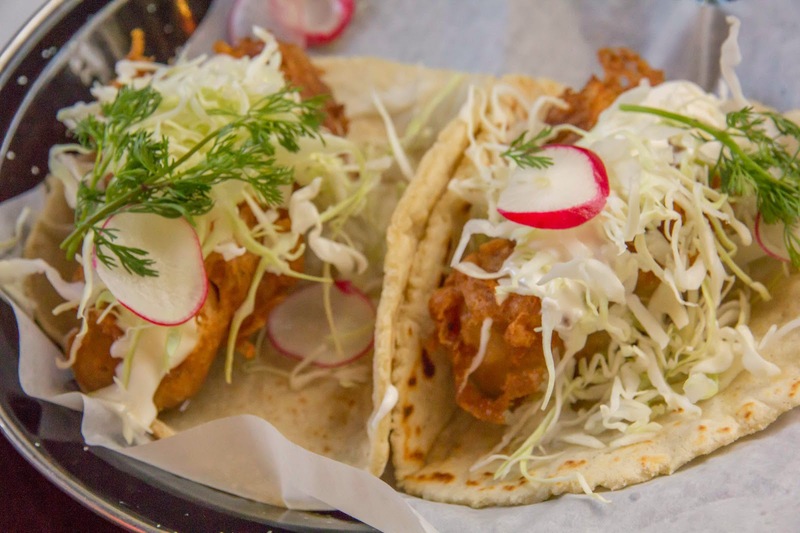 That photo above (both photos courtesy Forrest Mori) is of one of the best fish tacos you could ever have. The ling cod seems much fresher and full of flavor than the fish that usually gets fried up for tacos, and then that batter is crispy, light, not oily in the slightest**. There's a lime mayo crema that adds layers of flavor yet doesn't overpower. Velazquez's food is all about notes adding up to a sweet song, not a series of solos or a mishmash of stations playing too loudly from the radios of competing cars. And, as with all the tacos, the tortillas are hand-made and gorgeous, with a texture, a bit of heft. This is a dish that will ruin you for all other fish tacos. I could go on and on, but will stop after talking about one of the two ceviches of the day, La Lola. Velazquez was the opening chef at Cielito, and before that he'd spent years at Arigato, so he knows his seafood (and presentation). This one combined local red snapper, jicama, cucumber, avocado, tomatillo, serrano and yuzu (there's the Arigato influence) and then that comes atop a fried tortilla, as both an eating utensil, of sorts, and a crispy contrast. 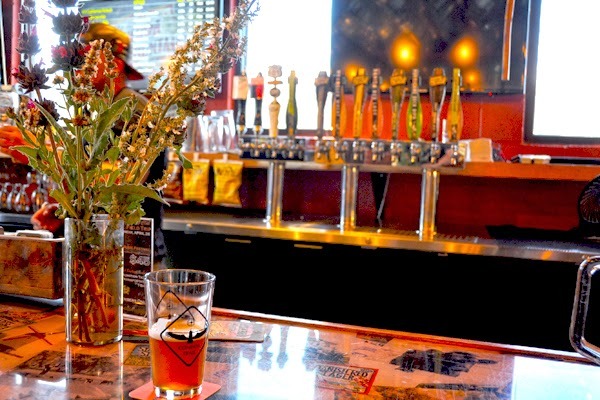 It all mixes into something almost shockingly fresh, partially from the citrus zing and partially because he buys primarily from local farmers market purveyors and local seafood, so that quality and freshness takes his dishes over the top. The good news is the pop up is research and prep for his own spot in The Mill Project that's going up at the corner of Haley and Laguna, target date this summer. Until then, it makes sense to hit Corazon Cucina on Sundays religiously. *There was a pork belly quesadilla, too, high and low meeting to make utter deliciousness. And again, the pork was cut in just the right size to function as taco topping. We're talking tacos engineered. **I forgot to mention the batter is made with Captain Fatty's beer, too. So even that stays local and artisanal.